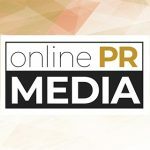 Online PR News – 23-May-2014 – Milwaukee, Wisc. – PODS of Wisconsin has been a proud sponsor of the popular recreational cycling event, the United Performing Arts Fund Ride for the Arts, sponsored by Miller Lite, since 2011. The event will take place on Sunday, June 1, to raise money for more than 30 performing arts organizations. The money collected by UPAF is critical to keep the general operations running, enabling the groups to continue to bring outstanding entertainment and educational outreach to the community. PODS containers will serve as command posts called Oasis Stations that provide a safe, secure option for storing station supplies such as water, Gatorade and food along the routes of the ride for cyclists to refuel in the middle of the ride. Since PODS containers are large and highly visible, it allows the event to instruct cyclists and spectators to look for them as guides to great viewing locations. The UPAF Ride for the Arts, sponsored by Miller Lite, is one of the nation’s largest one-day recreational bike rides. Over 275,000 participants have joined in the Ride for the Arts since it began in 1981, generating more than $8 million in funds to support 15 UPAF Member Groups and numerous smaller Affiliates. The Ride features 5, 12, 25, 40 and 66-mile routes that utilize Milwaukee’s Lakefront, the Hoan Bridge, and other notable landmarks. PODS of Wisconsin is one of the largest independently-owned franchises of PODS Enterprises in the country and is the leading provider of moving and storage services to residents and businesses throughout the greater Wisconsin area. PODS is a leader in the moving and storage industry providing both residential and commercial services in 46 U.S. states, Canada, Australia and the UK. Founded in 1998, PODS pioneered the portable moving and storage industry now preferred by many customers’ increasingly active and mobile lifestyles. To date, the PODS network has completed more than 500,000 long-distance moves, exceeded 2 million deliveries and has more than 145,000 PODS® containers in service. United Performing Arts Fund’s mission is to secure community resources, promote the performing arts as a regional asset, and improve the quality of life through responsible investment in and financial support of the performing arts in Southeastern Wisconsin. Our vision is to shape a diverse, vibrant and sustainable cultural life for all. In 2013 UPAF’s Annual Campaign raised more than $11 million dollars to support the area’s vibrant performing arts environment. The goal in 2014 is $11.7 million. UPAF proudly bears Charity Navigator’s highest distinction for nonprofits – a four-star rating. As an umbrella organization, UPAF supports a breadth of performing arts groups that collectively offer something for everyone through its 15 Member Groups and numerous Affiliates. More than one million people are touched each year through performances, educational outreach, special events and community partnerships.